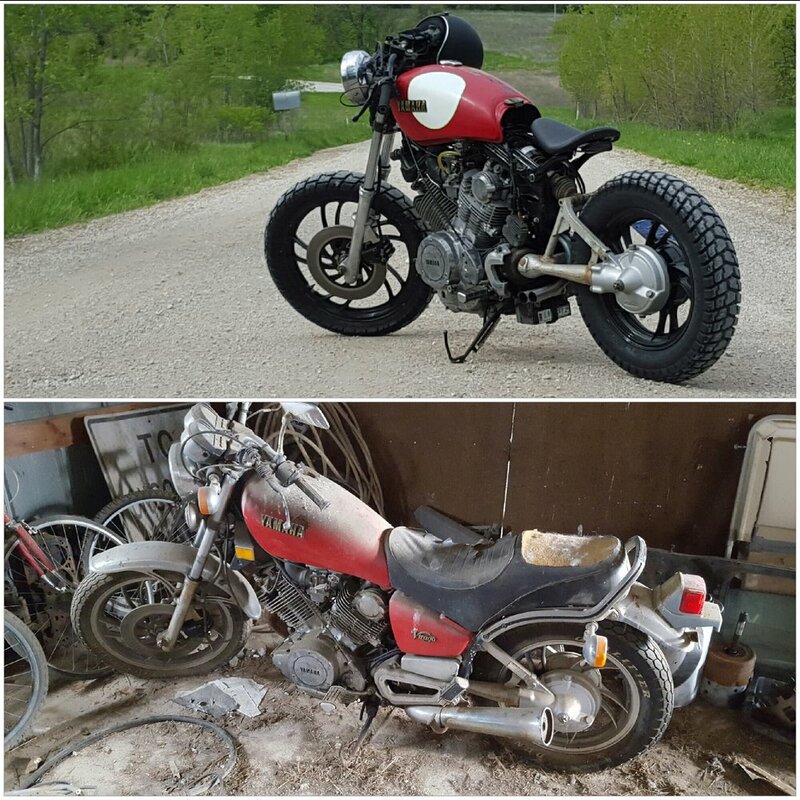 1981 Yamaha Virago 750 apocalypse bike! This was the bike that I put together for fun that fueled the buisness. No particular style just fun! Newer Post1975 Honda CB360 Scrambler - "Tuna"